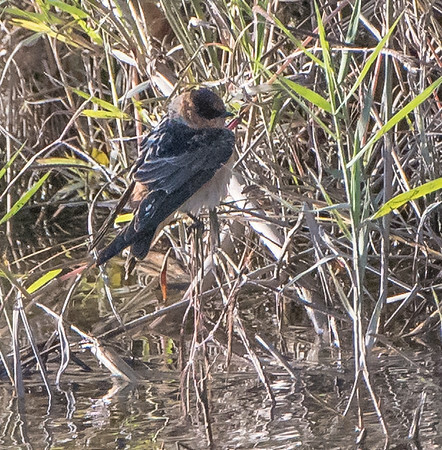 We located this very localized species of the Swallow family while on our Gulf Coast and Rio Grande Valley birding adventure at the begging of January 2018. Does it seem like 2018 went waaaay to fast to anyone else? I cannot get over the fact that 2018 is in the books. Based on the blog summary, a number of tasks were completed, but the to-do list still gobbles up multiple pages. Need to look into those life outsourcing services and start leveraging those hours wasted sleeping. Sorry, I digress, back to the topic at hand. This Cave was spotted while visiting the Bentsen-Rio Grande Valley State Park, just outside Mission Texas. It also happens to be directly on the Rio Grande River which is getting a lot of attention as of late. Even with all the green and white SUVs and helicopters criss-crossing the area, I still felt uneasy in the area. We trekked through the western part of the paved trails for most of the morning before Linda headed back to take care of the dogs. I headed back in and explored the middle and eastern sections of the park opting to not head out on the southern paths that took you near the river. There was very few people in the park that day and we already had our share of uneasiness from our visit to Sabal Palms (albeit, at least there were a few people in this park). Just exploring the interior of the park took a better part of the day leaving very little light had I chosen to head down there. Eventually made it back to the van and convinced Linda to go back with me so I could get a few more shots of the Altamira’s (link here) and the Black-Crested Titmice (link here). 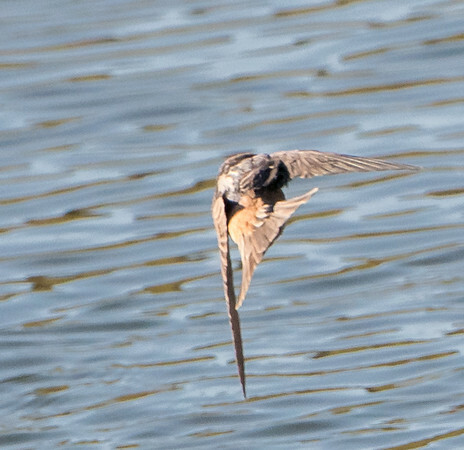 It is on our way back from getting those pictures when we spotted this Swallow’s aerial acrobatics. Seeing it with your eyes is one thing, getting anything in the tin is nothing short of a nightmare with big glass. The Beast was doing everything it could to focus on what it thought I wanted .. just not what I actually wanted. 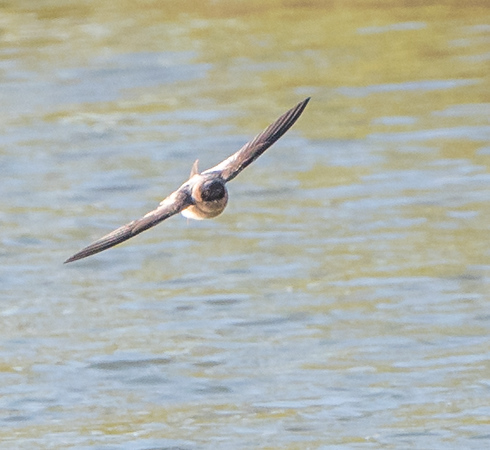 The Swallow was smaller than my single focal point – any slight move off of the subject sent the Beast searching for targets. Preferring mobility and freedom to shoot in any direction, the arms are tasked with stabilizer and gimbal services (thus all the running off-days in the weight room). At the end of long day like this, the glass was weighing heavy and the arms were not exactly thrilled to be tasked with tracking the uber-hyper bird. Can’t imagine how comical this must have looked for anyone that saw me trying to pull this off – Linda is used to it, but doesn’t stop her from pointing and rolling her eyes at me when someone ventures by. Note, the first shot is the ONLY time this specimen bothered to take a break and that lasted less than 5 seconds. Eventually the arms gave out and we called it a day with the hopes there was something in the tin that would be sufficient enough to validate the ID and get the check mark – that was accomplished, but in hindsight, should have kept trying. 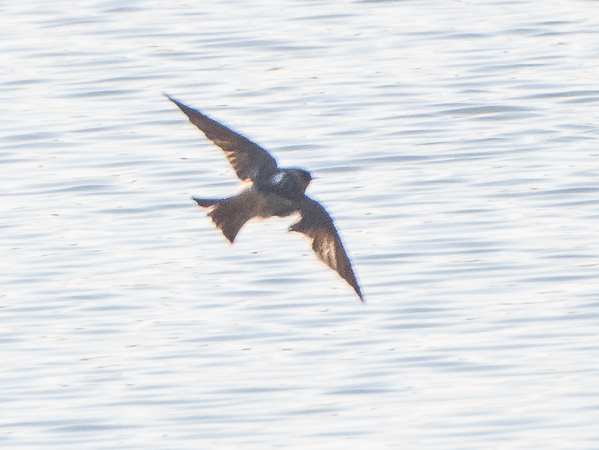 The Cave Swallow is very similar to the Cliff and the Barn from a coloring perspective which was my initial guess until a fellow birder saw me trying to photograph it and confirmed the species. There was an entire colony living under the foot bridge connecting the visitor center to the park entrance. 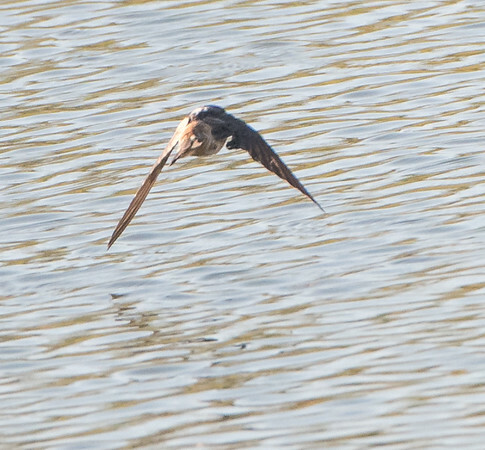 It is easy to distinguish the Cave from the Barn Swallow purely based on the shape of the tail. The Barn has the more distinctive forked tail where the Cave has more of a squared off look. Thankfully, a feature you can tell even with a crappy picture. Distinguishing between the Cave and the Cliff is a bit harder. Their range overlaps where we were at. They both have the squared off tale and the coloring is very similar. The difference is most notable in their rumps and their feathering above the bill. The Cliff has a paler rump and a very light if not white bill base. The Cave’s have a chestnut rump and forehead. 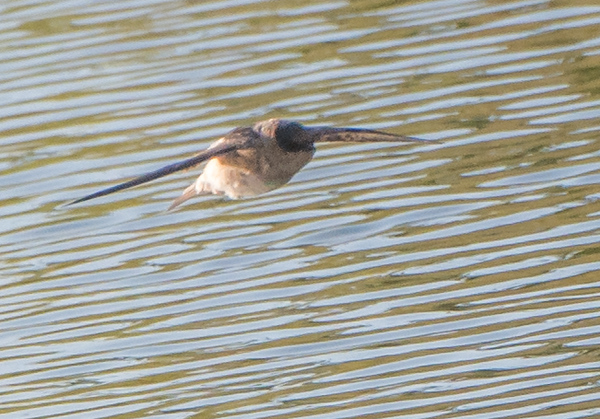 Those marks are just barely distinguishable in the shots I was able to get. From a region perspective, the Cave has the RhtT classification which means “Ron has to Travel” to close up the bird count. They live year round in Mexico and the Caribbean moving into southern Texas (and the very tip of Florida and what looks like just outside Guatemala) for breeding. We always read about how bird habitats are being destroyed by human expansion – the opposite case exists here. The expansion of bridges and overpasses has allowed the species to expand their range. That is as long as I can stand looking at these pictures. I will sheepishly hit the publish button and discretely make the check on my birding list. Thanks for bearing with me on this post. Will be bringing you better pictures in the not too distant future.